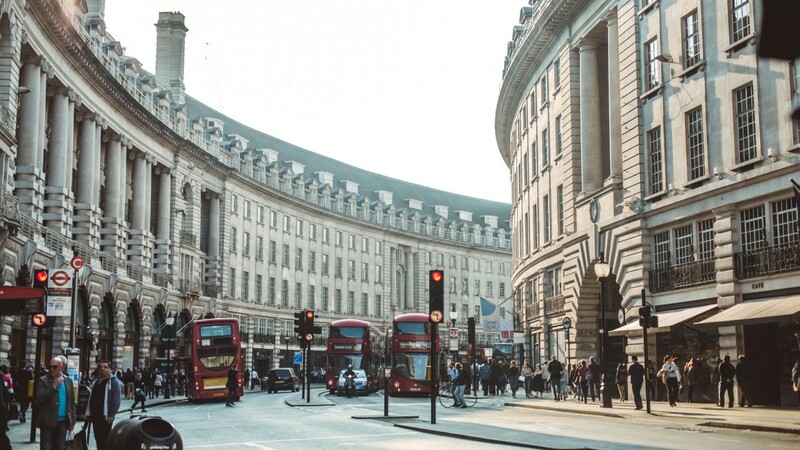 If you’re on Regent Street, here are the places you can’t miss. 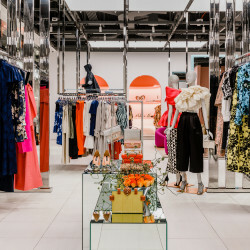 If you’re going shopping in London, you’ll definitely find yourself walking down the winding Regent Street lined with stylish Londoners sprinting from stores like Burberry, Coach, and Topshop. While running a retail marathon with so many bags in tow, it’s easy to forget about the important things—like eating a bowl of hot noodles, drinking a strong Tom Collins, or indulging in a brownie sundae. Luckily, the street that’s famous for shopping has also become home to an excess of amazing restaurants. 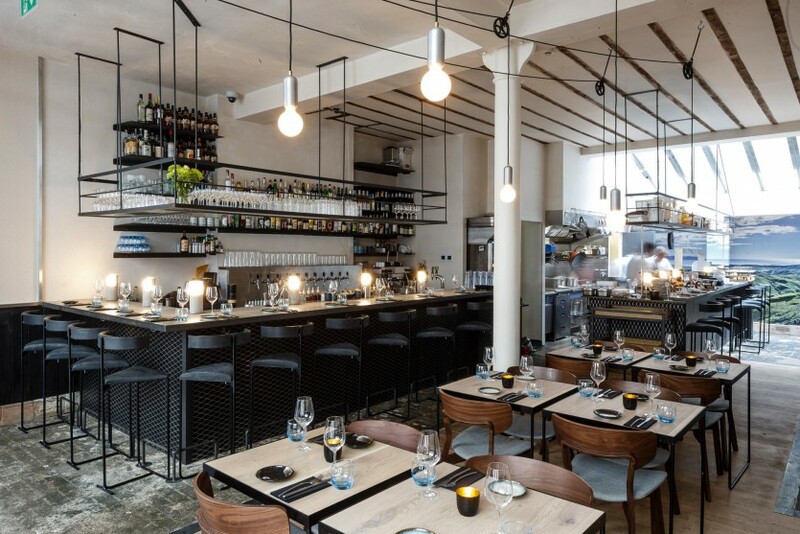 If you’ve been shopping all day, you definitely deserve a break (and to load up on some sustenance to continue shopping after…) Here are six of the best restaurants on Regent Street that can’t be missed. Magpie makes the kind of food you’ll want to take pictures of. The food is really good because it’s really unexpected. But when you go to show your friends the photos, you’ll most likely struggle to properly explain them. The flavors, textures, and ingredients are probably ones you haven’t tried or heard of before. What you can’t leave without ordering: Cod croquettes! This is an absolute MUST and a highly recommended double order. They’re a crisp, fluffy, and light magical combination of fish and vegetables all in a bite-sized portion. The best drink on the menu: Ni Hao Negroni. With an unexpected addition of szechuan oil, this gin cocktail has an extra kick. If you like it here, you’ll also like: tidbits, an award-winning vegetarian and vegan restaurant that’s just as fresh and has an equally cozy and casual atmosphere. 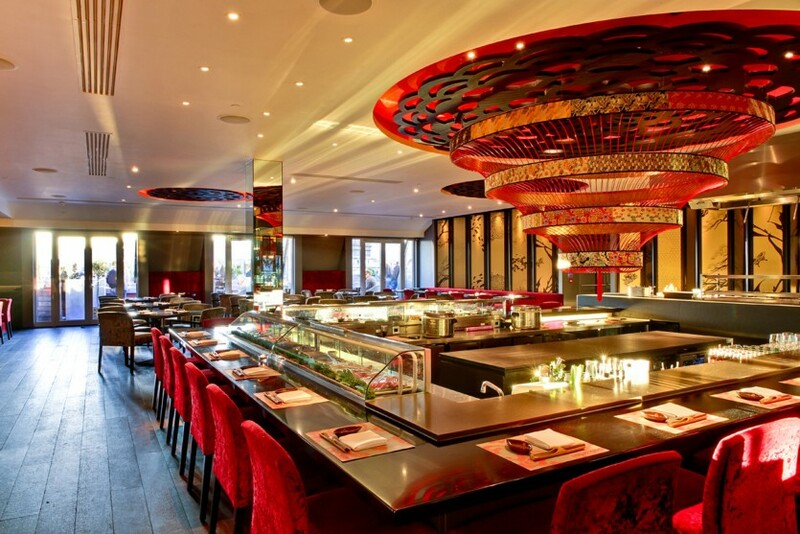 Making a dinner reservation at Aqua Kyoto will make you feel extra special. Immediately upon arriving, you’ll get whisked up an elevator and into the restaurant with an expansive view of the buildings on Regent Street below. Before heading into the main dining room, you’ll be seated at a table near the bar for a pre-dinner cocktail. Once you’re done you’ll head inside the main dining room lit underneath red lights and centered around a large sushi bar. The menu is overwhelming at first, but the dishes are meant to be shared, so you’ll be able to try a little bit of everything they have to offer. The best drink on the menu: High Society. Peach liqueur, pink grapefruit, and sweet vermouth! It’s the perfect mix of sweet and refreshing. The thing that will surprise you: The Ika No Sate dish. It’s a small squid plate with a tomato tentsuyu foam, which is like nothing you’ve ever tasted (especially when paired with squid). If you like it here, you’ll also like: Veeraswamy, the oldest Indian restaurant in London. 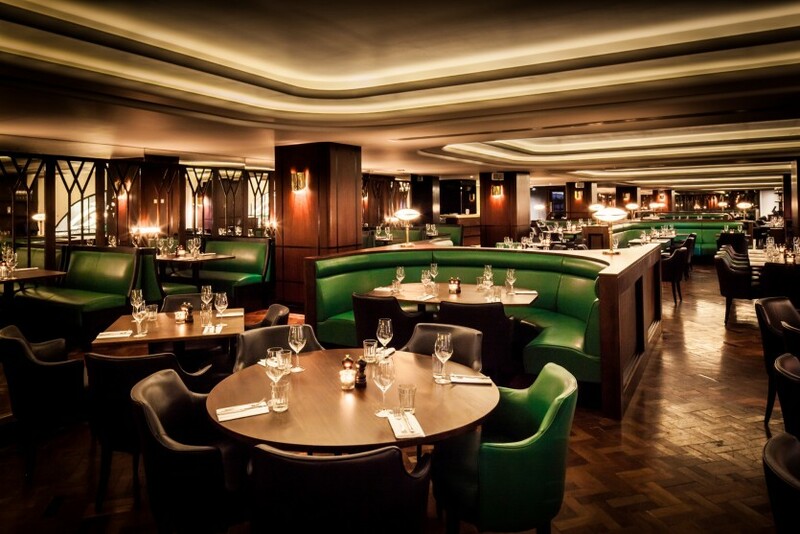 Located on a mezzanine floor above Regent Street, the food will transport you to another country entirely. 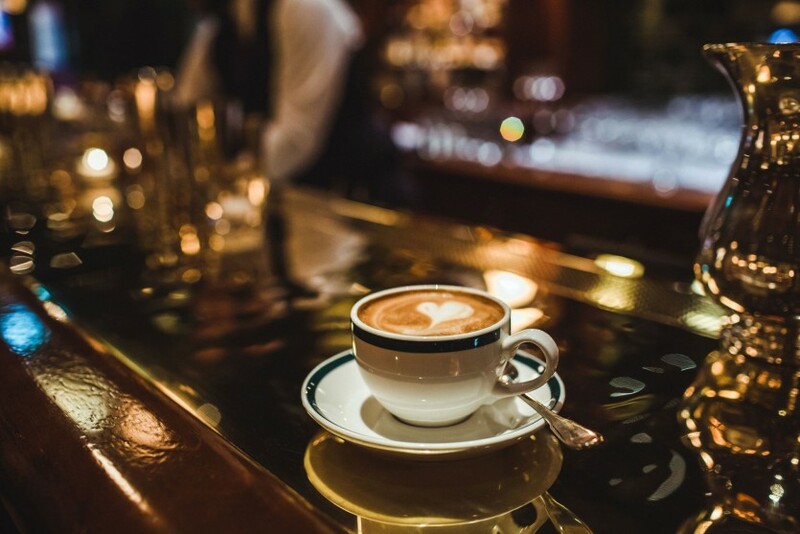 It’s easy to walk straight past Ralph’s Coffee Bar at the Ralph Lauren store, as it’s located along the long stretch of stores. But don’t! The tiny café, tucked away indiscriminately, offers a quiet vintage escape from the madness of the shopping-crazed crowds. What you can’t leave without ordering: Ralph’s brownie. This is a dessert you absolutely must save room for. Often brownie sundaes are overly sweet, but this one has a dark chocolate bittersweet brownie paired with ice cream that strikes the perfect balance. The best drink on the menu: Coffee. It is Ralph’s *Coffee* bar, after all, so do yourself a favor and order yourself a latte. 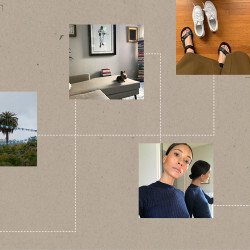 The thing that will surprise you: The interior design inspiration. If you’ve never thought of having a green tiled bathroom, you’re probably going to reconsider. If you like it here, you’ll also like: The High Tea at Hotel Cafe Royal. They’ve recently partnered with Diptyque to create an afternoon tea and offer a wide selection of sandwiches, scones, and fancies. It’s considered one of the best steakhouses in London, so it’s a no-brainer to stop by if you’re a meat lover. But not to worry! If you’re a pescatarian (or just prefer fish), there are still plenty of incredible options, like a delicious Monkfish grilled over charcoal or roast scallops in white port. Honestly, the sides are delicious enough to make a meal out of on their own. What you can’t leave without ordering: A side of mac ’n’ cheese...and creamed spinach….and buttered new potatoes. They are the classics done really, really well. The best drink on the menu: Pretty much anything. Hawksmoor is known for its cocktails, so really, you can’t go wrong. Definitely order a Champagne Charlie to start, and a Fish House Punch to end the night. The thing that will surprise you: How good the seafood truly is. If you like it here, you’ll also like: Brasserie Zedel. They’re known for their great steak hache and their tarte tartin. Another quaint café located inside one of the best stores on Regent Street. 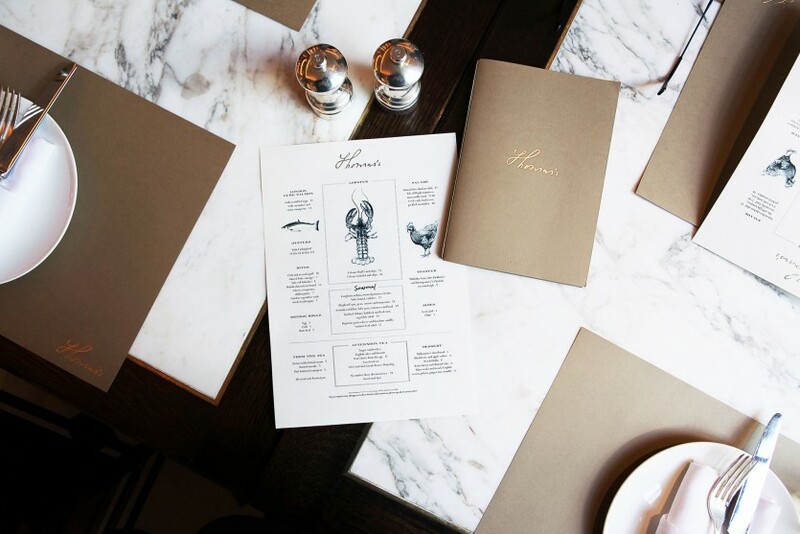 Thomas’s is charming, sleek, and quintessentially British. You can choose to dine alongside luxury Burberry goods or window-side with a view of the quiet side street outside. It’s the absolute perfect place to unwind because it’s the antithesis of the hustle and bustle happening just next door. What you can’t leave without ordering: Lobster benedict. It’s served on a single English muffin with just the right amount of lobster. It’s indulgent enough (lobster for breakfast!!!) without being too heavy. The best drink on the menu: Any of the juices! They’re freshly squeezed and as refreshing as the space itself. The thing that will surprise you: How easy it is to do work inside. Each nook and cranny is as lovely as the last. The Langham is *the* place to stay if you want to be close to all the best shopping in London. 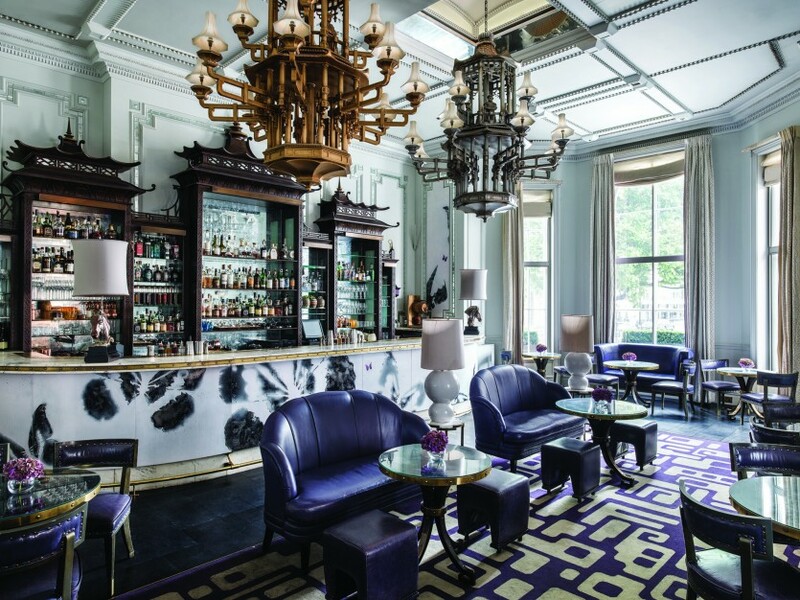 It’s absolute old-school British glamour and posh in every way possible, and Artesian, the hotel bar, has been named “World’s Best Bar” for the past couple years. The menu feels more like a book with each page dedicated to a cocktail with an elaborate description. Everything from the name to the presentation to the ingredients to the ice is exceptional. Using a special technology, Artesian has ice that is purer, colder, and with a higher density, which make the cocktails last longer and stay cooler. What you can’t leave without ordering: A drink. I mean…it is the best bar in the world, after all. The best drink on the menu: Order a Champagne cocktail to feel bougie and celebrate yourself. The sugar actually comes *outside* of the drink, in a snowflake crystallized sugar flake stuck onto the glass. The thing that will surprise you: Considering all of its accolades, the bar is actually surprisingly low-key and feels like a secret romantic speakeasy, as it’s located inside the original 360-feet-deep well underneath the hotel.